I was certainly caught by surprise at the announcement of the Pope that he will step down, effective February 28th. I was introduced to his writings in the 1990s during a time when I was beginning to study what the faith I was brought up with meant. I found his works wise and insightful. As many crises arose in the Church, I was impressed at how he and Blessed John Paul II stood up for the truth in a sea of relativism. Portrayed as a hateful old man by many, I saw in him a deep love and understanding of the obligations of seeking and doing what was right that binds us all. At the death of Blessed Pope John Paul II, I thought he would be a good Pope, but I thought his age would keep him from being elected (Because of that assumption, I thought Cardinal Arinze would be a good man to be elected if we couldn't have Cardinal Ratzinger). So when the news came of his election, I was elated. His work after his election showed this elation was justified. During his pontificate, he continued the work of making clear the teachings of the Church, showing a profound love of Christ in doing so. His encyclicals showed the recognition of the fact that a desire for reform of the world could not simply be done by government decree, but had to have at its base a love for each person from the moment of conception to natural death. 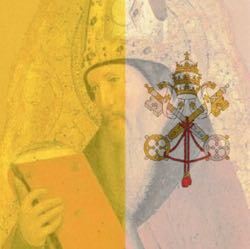 Despite the attacks he suffered with the misrepresentation of his deeds and words, he showed he was a Pope deeply in love with Christ and seeking to lead people to seeking Christ. Now, he has stated he must retire due to health reasons. I find myself saddened at the news, but trust he is doing so because he believes it is best that he steps down before his health declines to the point he can no longer lead the Church. I thank God for giving us Pope Benedict XVI at the time he was needed, and offer my prayers for the Pope and for his successor. Pope Benedict XVI is one of the greatest popes of history and, in my opinion, one of the greatest theologians. He stands with the likes of St. Thomas Aquinas and St, Augustine as one of those who has displayed a truly profound scholarship for the Word of God and the truths of our faith. Truly, in a time of incredible ignorance - a time of Wikipedia knowledge and sound-bite media - Pope Benedict has stood out as a man who both is not a part of these times and yet is the true missionary that these times need. I look forward to his future writings.